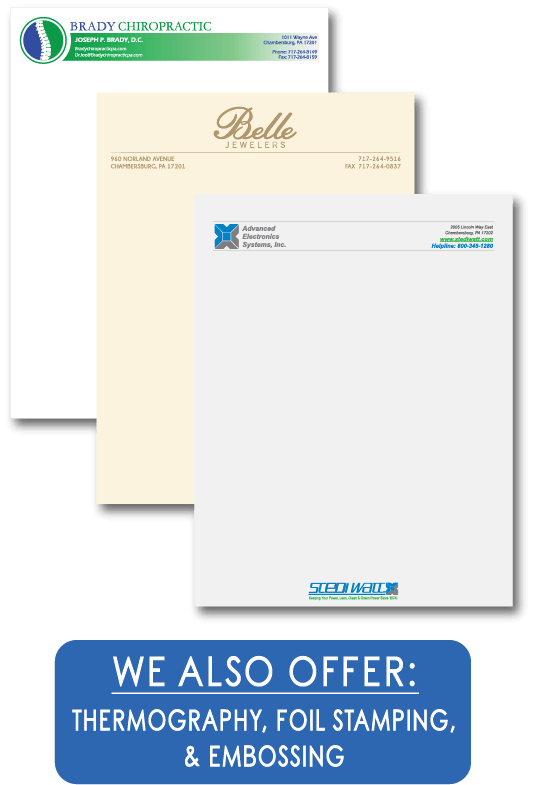 Increase the impact of your professional correspondence with custom letterheads that can be printed from 1 color to full color. You can choose from a large variety of papers which include a standard 70# white offset, 24# Capitol Bond (25% Cotton), 24# Linen Finish, and 24# Laid Finish. The Linen and Laid are available in Bright White, Natural, Ivory, and Gray. If you are looking for something out of the ordinary, just ask.